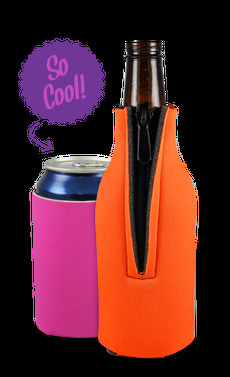 This can coolie isgreat for promoting a grand opening of your business, or featuring the staff or your company or organization. The full photo coolie is a wonderful way to keep a memory of that special occasion. Can coolie is designed to be a can holder for 12 oz. cans. Let your imagination go crazy!